Another new theme: Winter. There are worksheets and flashcards for this theme. You can also find some printable jigsaw puzzles and a wintermemory game on the worksheets and downloads page of this theme. Have fun! 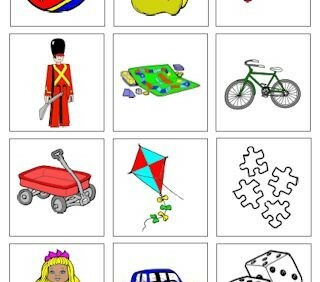 I added some worksheets and flashcards for a new theme: toys. You can also find some printable jigsaw puzzles and a toy memory game on the worksheets and downloads page of this theme. Have fun! 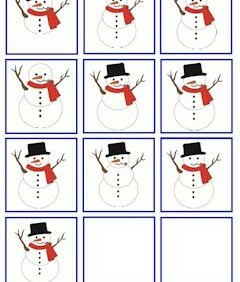 New at LessonSense.com are free coloring pages. Each themed coloring book consists of several free coloring pages that you can color, save and print straight from the LessonSense.com website. You can choose from the themes animals, autumn, bears, Christmas, circus, Halloween, professions, shop, Spring, Summer and Winter. Have fun! Get yourself ready for the new schoolyear! Try some of our themed worksheets, craft ideas or games for your classroom. Check the overview page to see the availble themes!